Netanyahu receives letters from more than 700 Jewish clergy protesting settlement expansion | It's Only Natural To Resist. Rabbis for Human Rights-North America and J Street activists outside the Prime Minister’s Office in Jerusalem after submitting letters. More than 700 letters drafted by Jewish rabbis, cantors, and rabbinical students around the world express fears the E-1 plans will be ‘final blow to a peaceful solution’ and also voice concern that it ‘damages the critical relationship between Israel and the United States. 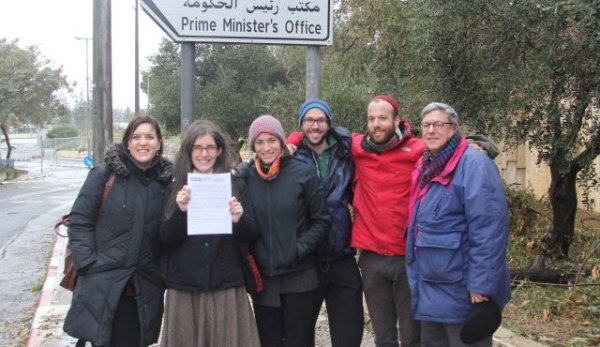 Haaretz – A group of American rabbinical students studying in Israel delivered a stack of over 700 letters to Prime Minister Benjamin Netanyahu’s office in Jerusalem on Monday morning. Signed by rabbis, cantors, as well as rabbinical and cantorial students from around the world, the letter was written in protest of Israel’s recently announced plans to expand construction in the E-1 area of the West Bank. The letter, a joint initiative undertaken by Rabbis for Human Rights-North America, J Street, and Americans for Peace Now, is an attempt to inform Netanyahu of concern over settlement expansion among Jewish spiritual leaders outside Israel. The letter affirmed the leaders’ commitment to Israel, stating that “all of us believe that the ultimate safety and security of Israel as a Jewish state will depend on reaching a peace agreement that also allows Palestinians to live safely and securely in their own state,” read the letter. “We fear that building settlements in E1 would be the final blow to a peaceful solution. If Israel builds in E1, it will cut East Jerusalem off from its West Bank surroundings and effectively bifurcate the West Bank. In doing so, E1 will literally represent an obstacle to a two-state solution,” continued the petition. The students, joined by J Street activists in Israel, were met with confusion from the security officials at the Prime Minister’s Office, who did not know exactly how to handle the stack of letters. Eventually the letters were accepted, and promises to pass them along were made. The rabbinical students, studying at various institutions in the United States and in Israel – and some of whom are participants in RHR-NA’s year-in-Israel program – were enthusiastic about the effort. “These are values I believe in, Jewish values,” said Kerry Chaplin, from Los Angeles, when asked why she became involved with Rabbis for Human Rights-North America, and specifically this project. Chaplin is spending the year studying at the Conservative Yeshiva in Jerusalem. 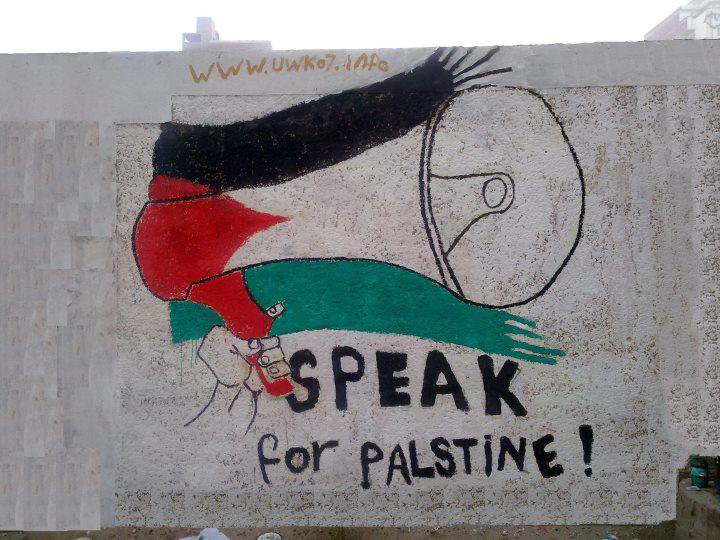 This entry was posted on January 12, 2013 by ispeak4palestine. It was filed under Articles on Palestine and was tagged with America, Benjamin Netanyahu, Israel, Jerusalem, Jewish, Judaism, Palestine, United States.